As a true-blue Japanophile, one of my joys when travelling there is how different each prefecture is. I know most automatically think of Tokyo, Hokkaido, Osaka or Kyoto when they think of Japan, but there’s so much more out there to discover. In a survey conducted in 2011, Toyama ranked as one of the top three when it came to levels of reported happiness. If you’re making a trip to the Land of The Rising Sun, you might want to drop by this prefecture to see what is there to be so joyful about. Also, they’re known to have a kawaii (cute) dialect, even by Japanese standards, so listen out for that too as you walk the streets. Another factor to consider when planning a Japan trip is the time of the year. Japan is replete with seasonal specialties and sights, which is why four trips a year might not even be enough (it certainly isn’t, for me). Here’s a quick overview of Toyama through the different seasons that is guaranteed to give you the same wanderlust writing this article has given me. If you’re in Japan in spring, you can’t avoid the cherry blossoms (and why would you want to?). 1. Head To One Of Japan’s Top 100 Cherry Blossom Spots. 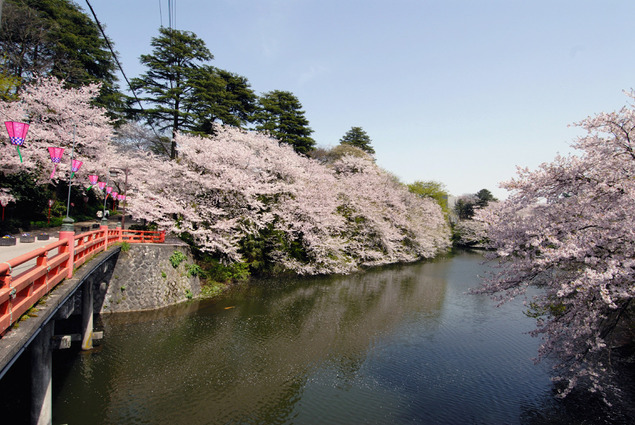 Takaoka Castle Park is home to approximately 1,800 cherry trees of 18 different varieties and is designated as one of Japan’s Top 100 Cherry Blossom Spots. Don’t be deceived by the name though, there’s no castle for you to view in this park, which only retains all the moats, ponds and fortifications of old. If you want to find out why the castle is no longer in existence, having been torn down a mere 9 years after it was first built, you can read its history here. 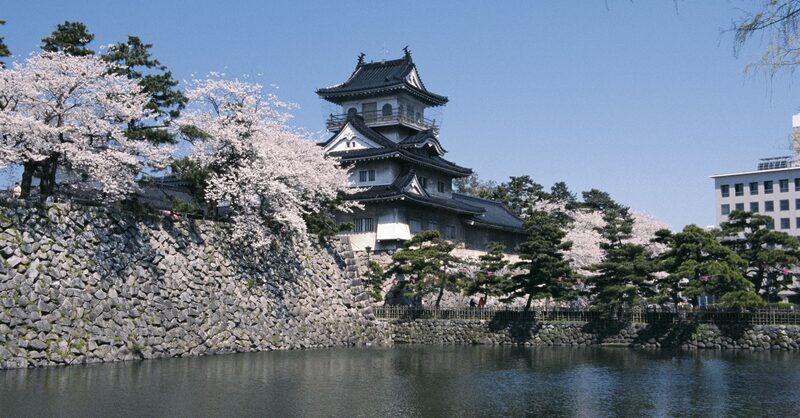 Other highly-recommended cherry blossom viewing spots in Toyama include the Funakawa River and the Matsukawa River, with runs through the central district of Toyama City, the capital of Toyama Prefecture. 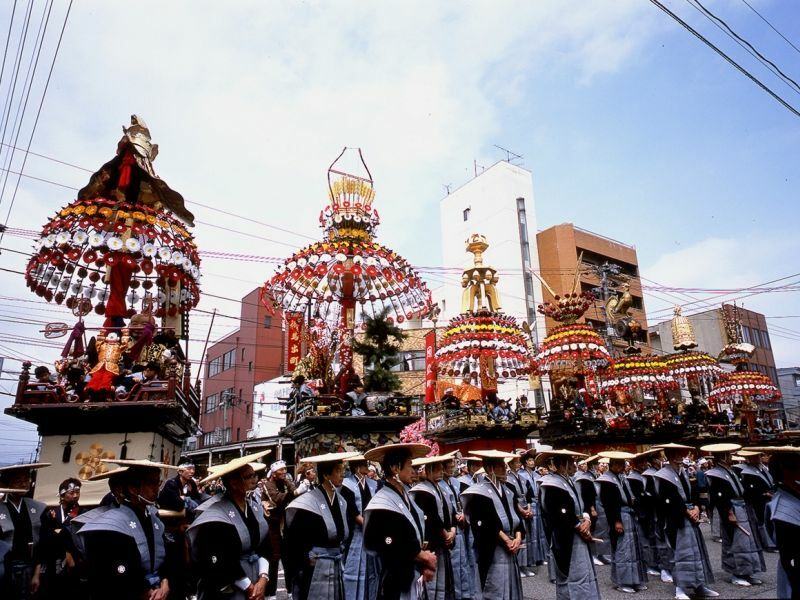 The Takaoka Mikuruma-yama Festival is a 400-year-old parade of floats that runs on May 1 every year. This festival dates back to the founding of Takaoka City in 1609, when Maeda Toshiie presented his imperial carriage to Maeda Toshinaga, the founder of the city. The beauty of the carriage inspired the craftsmen of Takaoka to use their artisanal skills in metal work and lacquerwork to create the set of seven Mikuruma-yama floats that still parade the streets today. Image Credit: CHUOEIGASHA on Youtube. 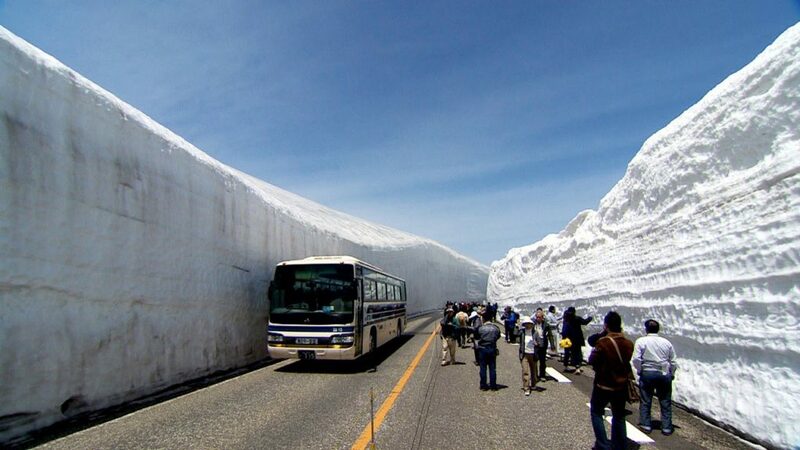 A 500-metre long section in the Tateyama Kurobe Alpine route, Yuki-no-Otani is well known for its long walls of 10 to 20 metre snow walls. These walls are only possible because of the heavy snowfall in this region, which does mean that it’s only open to visitors in the spring, after a team of bulldozers and snow-blowers follows GPS markers across the mountainside to carve the narrow two-lane road. 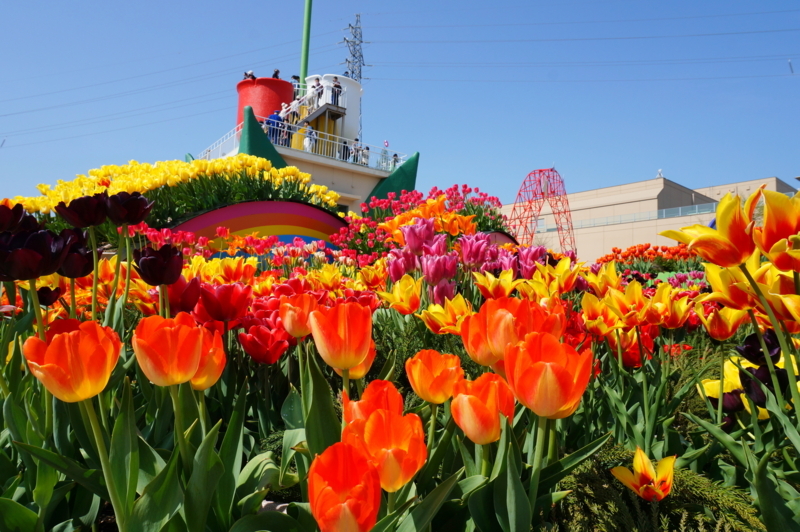 If the previous entry gave you the chills, go out for a day in the sun at Japan’s largest tulip fair. Running from April 21 to May 5 2017, the Tonami Tulip Fair features 2.5 million tulips of 600 different varieties. 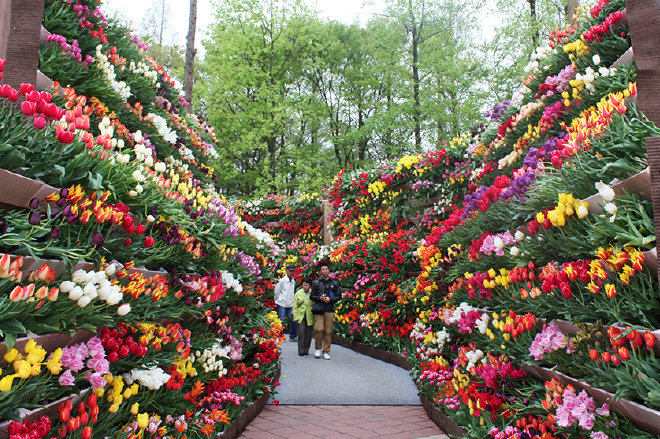 Not everyone would relish being surrounded by walls of snow, but not many would say no to Tonami’s take, with their Valley Of Flowers display. You might think you know summer since you’re Malaysian, but the long sunny days in Japan pack an entirely different sort of heat. If the summer sun is too much, the Fugan Canal Kansui Park and Tenmon-kyo Bridge are illuminated in the evenings and are said to have a romantic atmosphere that lovers will appreciate. 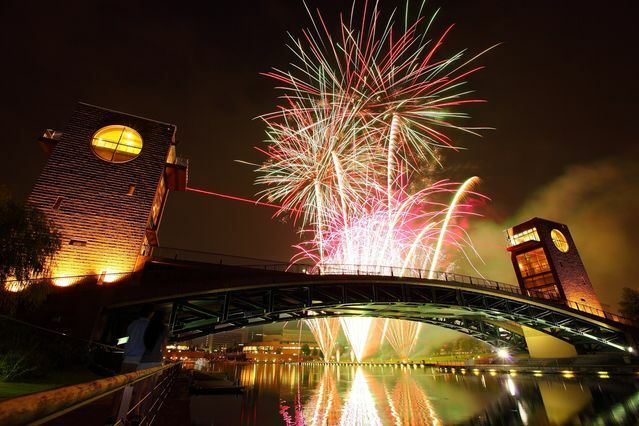 The park is also the venue for summer fireworks displays. On fine days, the Tateyama Mountain Range is visible from the park and makes a perfect backdrop for photos. You can also see Toyama from the water by hopping onto the Fugan Suijo Line cruise here. 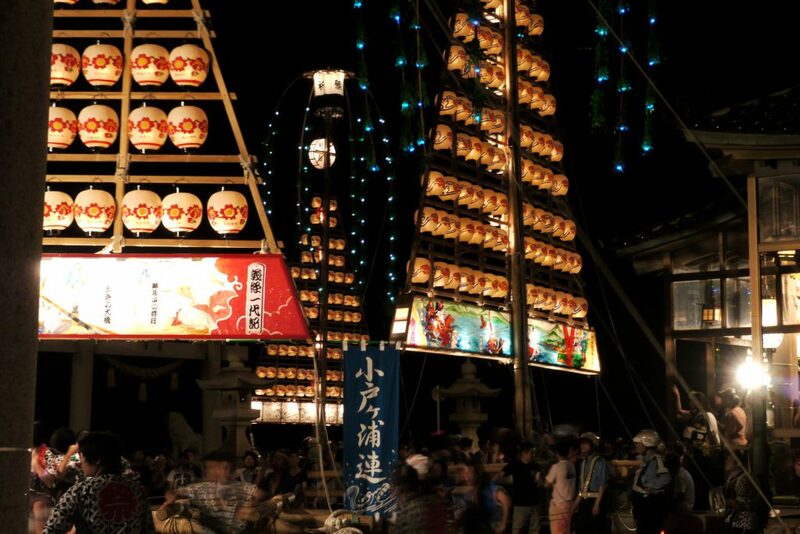 The Tatemon Festival is a unique sea-themed festival. Running from the 4th to 5th of August this year, the tatemon are made of large posts approximately 16 metres tall with roughly 90 lanterns hanging from them in a triangular shape. The tatemon themselves weigh 5 tonnes, have no wheels and have been described as “sleighs being pulled and pushed on concrete”. Moved along by young volunteers, the tatemon are said to embody wishes for a big catch of fish and safety on the sea. Named one of the “Most Beautiful Bays In The World”, Toyama Bay also plays host to a treasure trove of marine resources of both warm-water and cool-water fish. These are hauled to the shore fresh and get to become part of what the locals dub the finest sushi all year round. 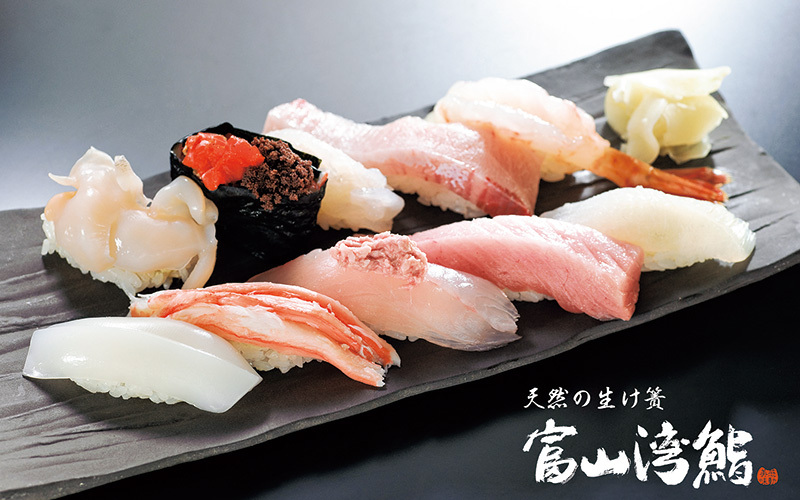 The tastiness of the sushi is also attributed to the high quality of the water and rice produced in the Toyama prefecture. 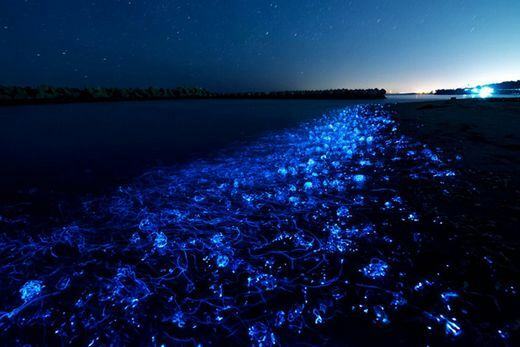 If you prefer to look at your marine life rather than eat it, you shouldn’t miss the famous Toyama Bay firefly squid, who light up its shorelines every year from March to June (but you can eat them too, if you want). The riot of colours that descends on Japan in autumn is the stuff of song and poem. These autumnal activities are perfect in the crisp, newly chilled air. 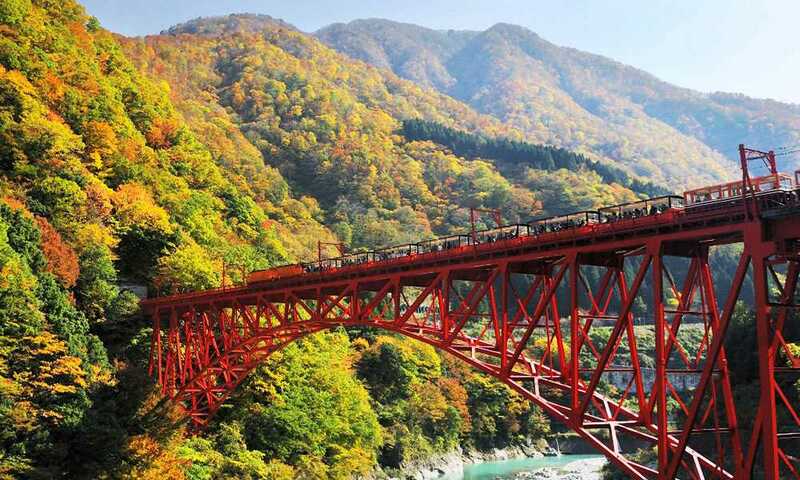 For a breathtaking experience of Toyama in autumn, ride the train along the Kurobe Gorge, a large canyon that forms a deep V-shaped gorge in the upper and middle waters of the Kurobe River. You can buy one-way tickets at Unazuki Station and then purchase the return tickets at the upper station. Due to the high volume of visitors during peak periods (such as in autumn), it is highly recommended that you book your return trip before you leave the upper station and set out to enjoy the sights, or you may not have a seat on your way back. Unlike the more raucous and high energy festivals of spring and summer, the Owara Kaze no Bon is a rare wind-dedicated festival. Held every year for three days from September 1st, all the men and women of the town stop working during the days of the festival to pray for protection against strong winds that could destroy their harvests. 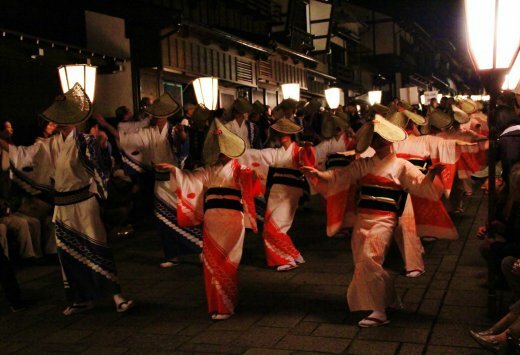 Dressed in triangular straw hats, happi coats and yukatas, the townspeople dance their way through the village, accompanied by the plaintive sounds of traditional instruments. The performance has been described as both dreamlike and ethereal. Here are some uniquely Toyama specialties that shine in the winter months. 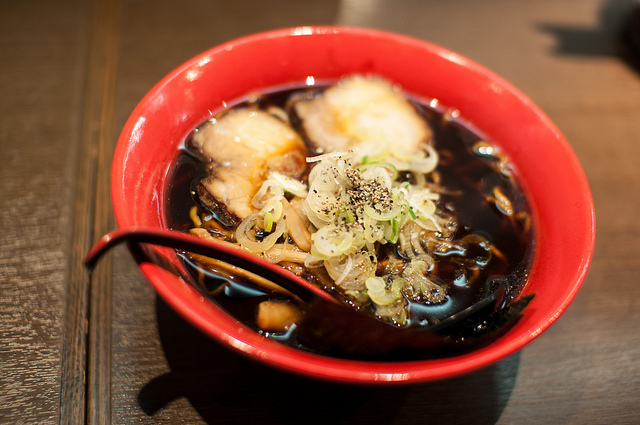 Most of the regions in Japan have their own take on ramen, and Toyama’s offering comes with an almost black soup. Don’t be too quick to judge its appearance—the Toyama Black Ramen has been the champion 3 years consecutively at the Tokyo Ramen Show, an event that strives to bring together all the best of Japan’s ramen under one roof. Despite how it may seem (the colour comes from a special black soy sauce), the broth is supposed to be light yet full-bodied, the perfect meal for a long winter’s night. 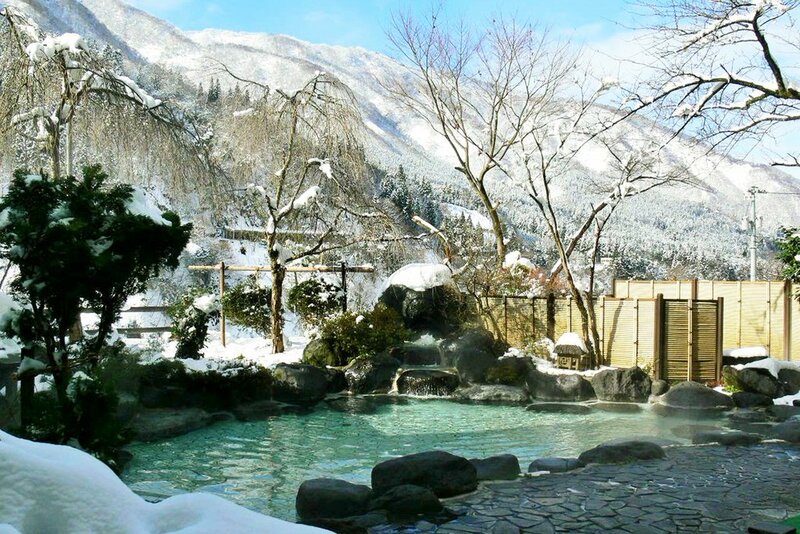 Opened in 1923, the Unazaki Hot Spring village has waters that are said to be the most transparent and colourless in Japan. Take a soak in the outdoor pools to enjoy the snowy landscapes yet stay warm and toasty. While you’re in Unazaki, one thing that is considered a must-try is the rich-tasting local beer, brewed with clear water from the Kurobe River and barley from Unazuki. Now that you’ve been dazzled and tantalised by Toyama, here’s how you can make your way there to begin your adventure. 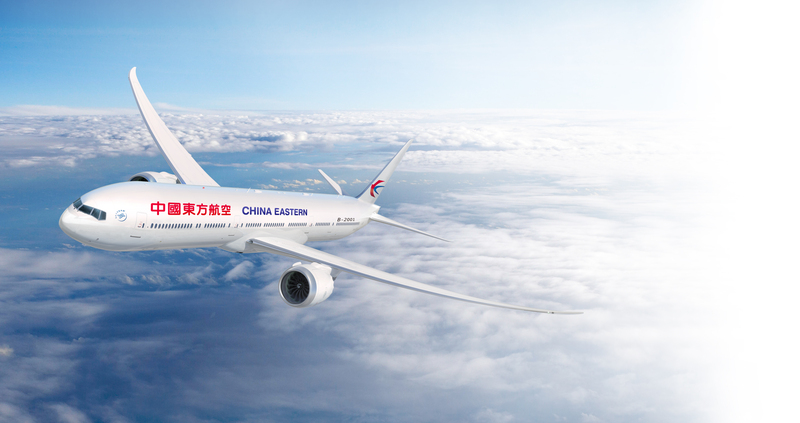 Headquartered in Shanghai, China Eastern is the second biggest airline in China. Led by a pilot-turned-chairman, they are the first Chinese airline to be listed on the stock exchanges of New York, Hong Kong and Shanghai in 1997. As a member of Skyteam, flying to over 1052 destination in 177 countries, China Eastern now wants to bring Malaysians to Toyama, with fares starting from RM888 (excluding taxes). China Eastern is currently the largest foreign carrier flying into Japan with 16 destinations. So this is your chance to get a holiday in Japan that’s off the beaten path. You can find out more information about the flights here or contact the China Eastern Airlines Kuala Lumpur Sales office at 2161 1666. This article was brought to you by China Eastern.